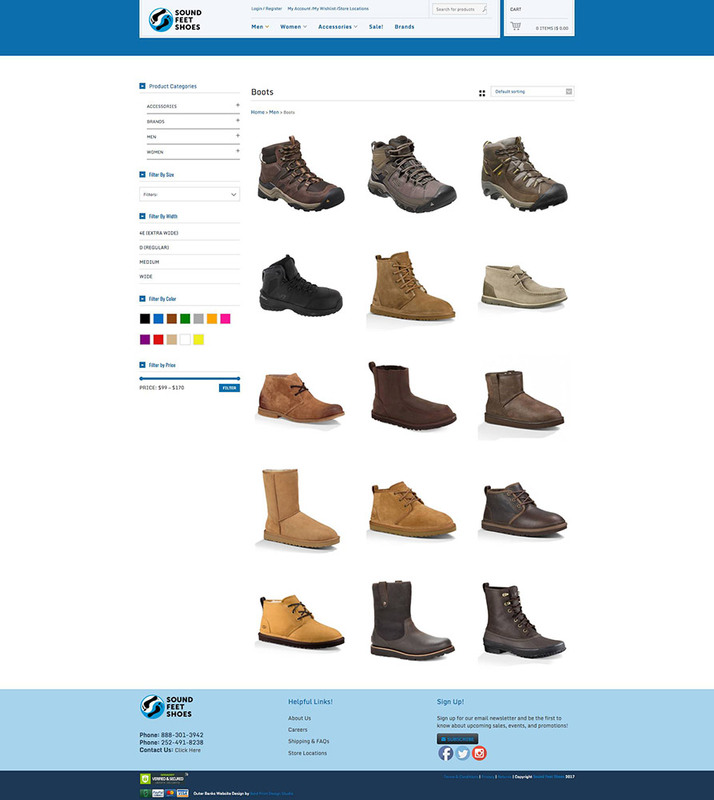 Soundfeet Shoes approached Bold Print Design Studio to upgrade their existing web presence and online store. 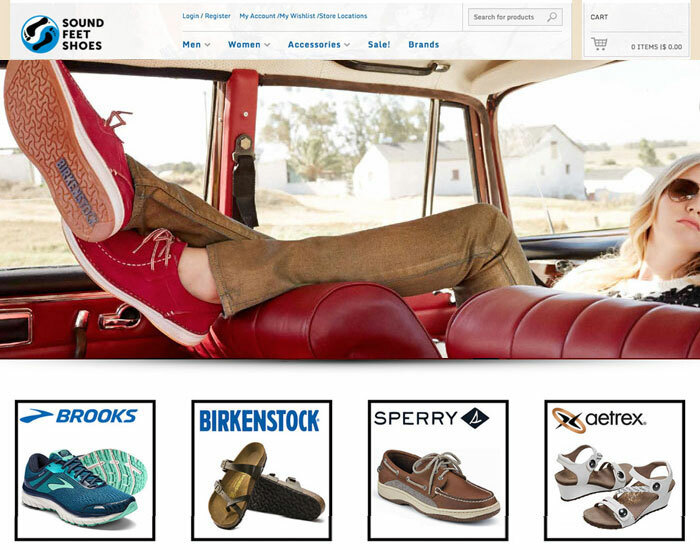 As the premier footwear retailer on the Outer Banks, they wanted to take advantage of the high volume of vacationers that come during the summer, but are back home and shopping online during the winter months. As requested, the store is organized so that the shopper can search by any number of ways including styles, brands, men, women, children, accessories, and on sale. 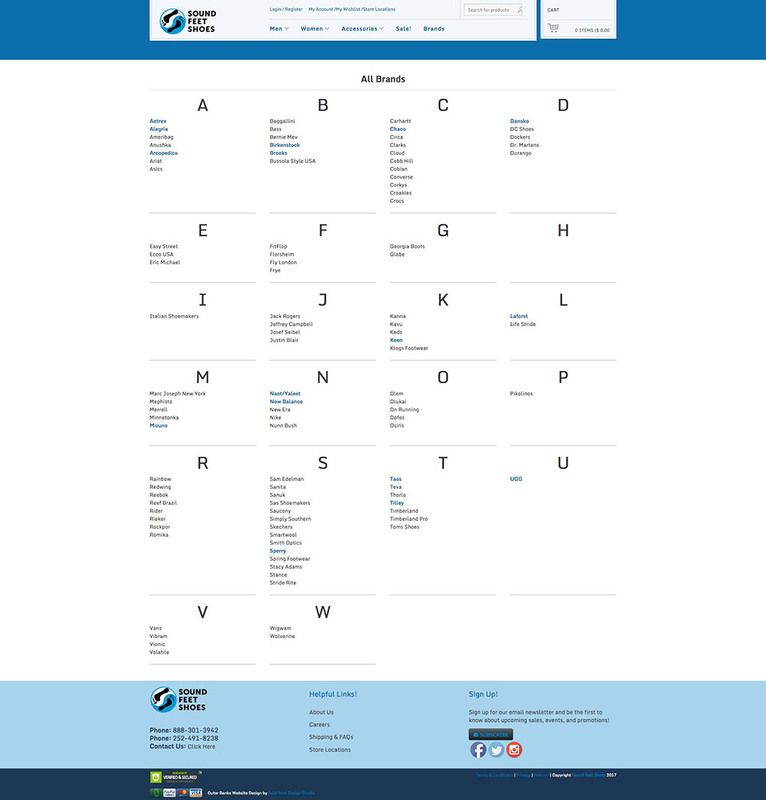 The products are tagged by category and cross populate so that the results include all relevant selections.